Brexit talks between the government and Labour will continue today as Theresa May heads to Paris and Berlin in an attempt to persuade EU leaders to back another delay to the UK’s departure date. The prime minister is due to meet with French President Emmanuel Macron and German Chancellor Angela Merkel this afternoon to make the case to extend the Article 50 negotiating period until June 30, avoiding a no-deal cliff edge on Friday. 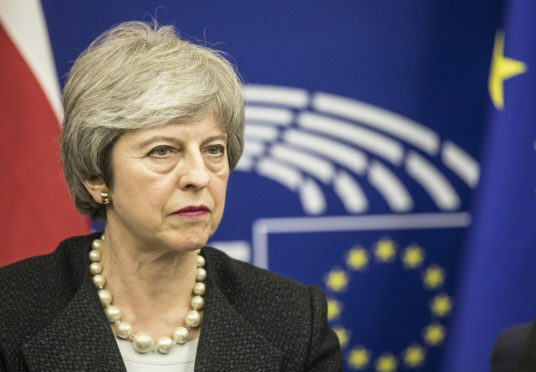 Mrs May is expected to argue that talks with Labour on a compromise deal are on the brink of a breakthrough, although those negotiations stalled last night with Labour leader Jeremy Corbyn saying the prime minister had “not yet moved off her red lines”. The EU’s chief Brexit negotiator Michel Barnier urged Mrs May and Mr Corbyn to strike an agreement on a visit to Dublin yesterday, but warned Westminster that if the UK were to leave without a deal the EU would still expect it to honour the controversial Northern Ireland backstop. Inverness SNP MP Drew Hendry told the Press and Journal that if Mrs May failed in her attempts today and tomorrow, at an emergency EU summit, to secure a Brexit delay she should revoke Article 50. He said: “Mrs May must ask for a long extension, failing that, she should do the right thing and revoke Article 50. But Banff and Buchan Tory MP David Duguid spoke against the idea of long extension, he said: “I am certainly not in favour of an extension which keeps us in the EU beyond the date which requires for us to take part in European Parliament elections.